Google's Auto-Backup feature has been around for a while now and most people do that it for granted. 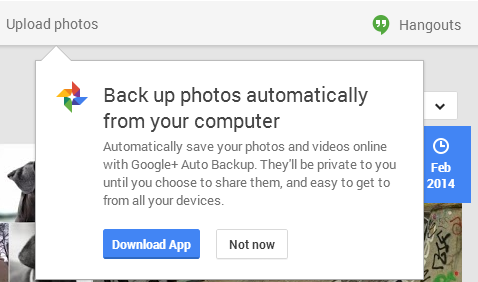 What Google Auto-Backup does it simply back up any pictures you take on your smartphone to your account on the cloud. Not to worry though, pictures and videos that are automatically uploaded are safe in your own account and are only viewable to you. Before Google+ updated, you were able to easily see your Auto-Backup media from the 'Photos' page. However, this is not the case now as the button (and album) has disappeared. It look me a while to search for all my Ato-Backup'd photos but with some help from Google, I was able to find a solution. Simply bookmark this link (https://plus.google.com/u/0/photos/search/%23AutoBackup) or search for the #AutoBackup hashtag in Google+ to view only the pictures and videos that Google has backed up for you. Easy right?